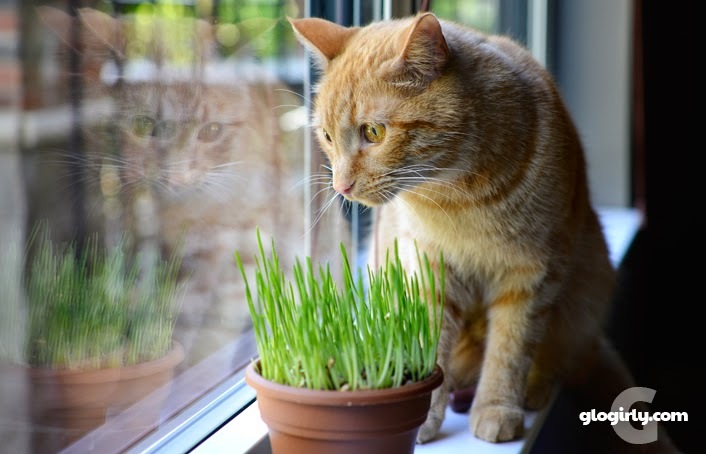 Cat grass IS easy to grow! Even my human can do it! Pricilla wants to know if it's for her. And don't tell AbbyGoat! My fuzzy babies Necko and Eva would love this. Hmm we would love to try this! Addycat says "meow"! 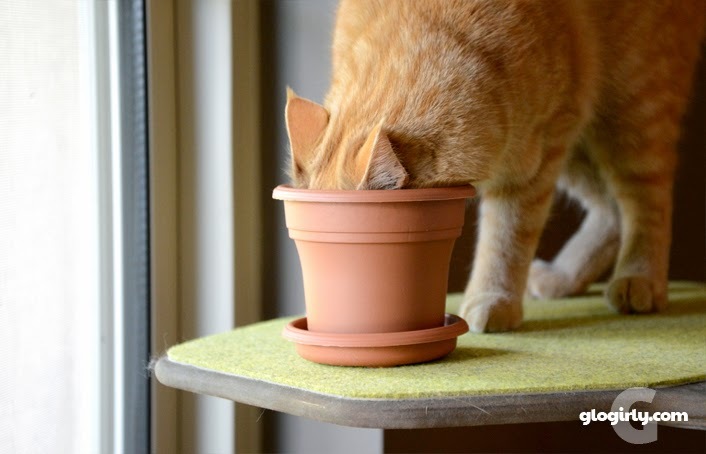 I think of my two cats, Espeon (the reason I can't ever have houseplants) would love it, I had catgrass in the past and she really enjoyed it. Oh Boy weez luv gwass. Sam would most enjoy the kitty grass because Sam was a Hobbit in a past life, and I know that because Sam never fails to remind me when it's time for First Breakfast, Second Breakfast, Elevenses, Morning Tea, Lunch, Afternoon Tea, High Tea, Evening Tea, Dinner, Supper, Nighttime Tea, Nighttime Snack, Bedtime Snack, and Midnight Snack (I think I might have forgotten a few). That looks like delicious kitty salad. I've bought plants at the pet store but they don't look nearly so healthy. I'd like to try growing at home. 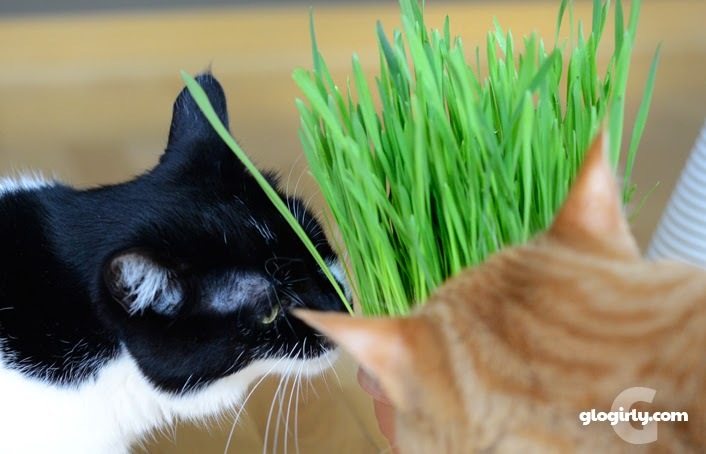 My boys LOVE cat grass! They like it when I pock the blades and hand feed it to them, it's super cute! We have three cats, but I think my daughter's "kitten" (he just turned one, but is still a baby), Arata, would likely be the one who would get the most use out of this. I'd hope all three would eat it, since I know it's good for their digestion. I have always wanted to try growing cat grass. I think my furkids would really like it. Hope we win. Thunder loves grass, and I go outside every day to get him some. This would be great--I wouldn't have to go out in the rain--like this morning--to get him fresh grass. Cool. Are we supposed to pee pee in the grass in that little pot? My cat used to love the kitty grass that we would buy her, but this was long before the internet and we were forced to go with whatever was available in the local pet store. I never really knew how good a quality it was. This stuff looks gorgeous! Laila is obsessed with kitty grass! 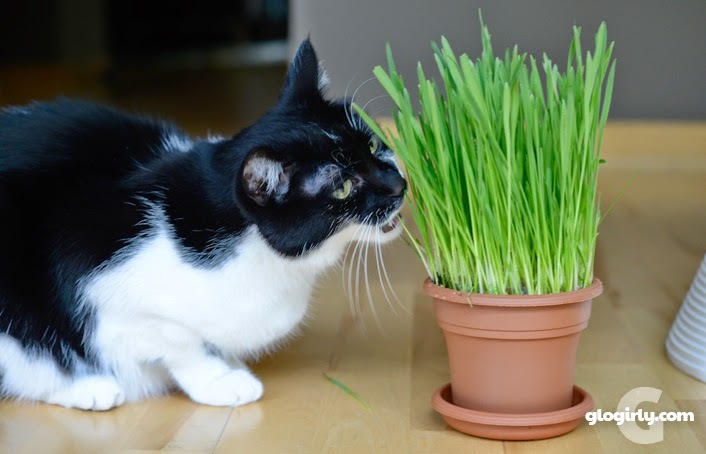 I believe Carmine would love to try some kitty grass! 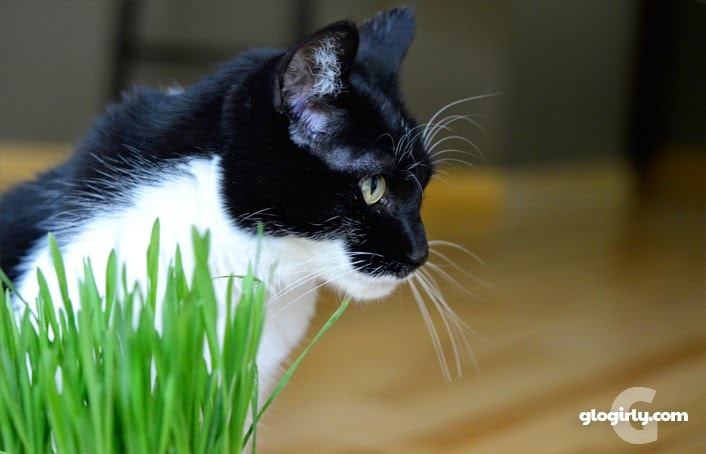 I have to check every plant I buy to make sure it is safe for the kitty plant eaters here..This grass looks so full and healthy I'm sure they would love it..and it is always good when we can help a kitty rescue or shelter! All my cats love grass. Yum Yum!! Looks delicious! We would love to try it out! Cool post pal. M was thinking of getting me some kitty grass. Maybe now she will do it. Whew! For a second I thought Pricilla the Goat was selling grass in addition to soap. It this stuff legal in all 50 states? TW has bought grass for me twice and I ate exactly 0 blades. HAH! Best of luck to the winners. This would be nicer than always running to Petco! My rescue babies just celebrated their 1 year anniversary with me yesterday! They would love to grow some kitty grass! A certain MOMMY needs to ante up and get our cat grass going for those long winter months. We had a sweater-box full of it two years ago. It was big enough to LAY in (rock on!!!). Leonardo (the big cat) would love this. he loves to chomp on grass. Madison is obsessed w/ cat grass. It would be great to have her try some new cat grass out. Mom is going to check it out now! She grows kitty grass for us but likes the idea of it being a mix. Oh Ping would love this! My cats have never had it so it would be great to win! I think my hooman would be proud that she could grow it, and I would be proud that I could assist her! I was just thinking I need to get something like this for Abby. YAY!! My kitty sister MeowMeow LOVES to eat grasses like this! I've brought her stuff like this before and it made her very happy as she chomped on it for days on end. Getting to grow it for her myself would make this little dog feel like an extra nice sister. I would especially love to bring some to the Smyth County Animal Shelter where Mommy has volunteered so those kitties could feel special and get pampered with wonderful fresh grown grass. Thank you for the giveaway no matter who wins, it's a good thing!